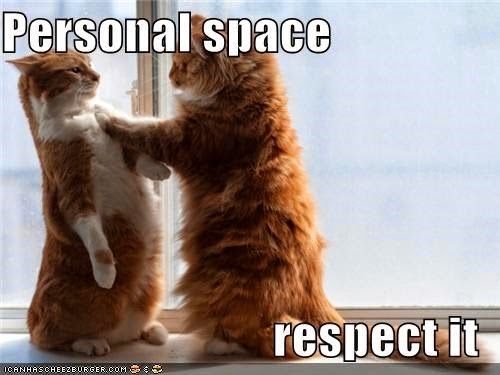 I have been trying to teach the kids about personal space, which is tricky, of course, since they want to share so much of their space in the first place. I don't mean personal body space, but more the areas of one's property... I think that is the right word. We probably didn't help ourselves any by having them shower or bathe in our Master bath for years. And now, they pretty much share a bedroom. But it is becoming time, and I have come up with 3 scenarios in which I need to get cracking. 1. An en suite bath is private unless it is in the bedroom where you are sleeping. We don't want them to grow up and become people who think it is acceptable to enter another person's home or space and just decide they should use the Master bath instead of a guest bathroom. Can you imagine doing that? Just walking in to a friend's house and instead of going down the hall to a bathroom, strolling into the Master bath uninvited to do your business? LOL Guest and hall baths were built for a reason, just as a Master bath is internal to a Master bedroom for a reason - PRIVACY. 2. A shut door (or drawer, medicine cabinet, etc) means keep out. Of course, you can knock, and see if admittance is allowed, but otherwise, consider it a big - fat - NO. We definitely need to work on this one! The only time the kids knock is if the door is locked. It isn't like anything funny is going on behind the closed door, but perhaps knowing a shut door means not without permission is in order. Right? Again, I don't want them strolling through a friend's house and just opening any door they please. I don't know what is going on behind that door (insert horror face here), and in my own home perhaps it will ruin some surprise. 3. Helping out does not mean changing someone's space. Sometimes as a guest, you are asked or perhaps you volunteer to help with say - putting away the dishes or laundry. Maybe I am being silly, but I have rules about this as it is ones personal space I will be getting into to "help". To me, it is the guest's responsibility to ask where things should be placed if no other direction is provided. You can't simply rearrange things to your liking or in a way you think things fit better. Chances are likely that they have it set up a certain way for a reason. It might be simply that they like it that way, and guess what, you don't get to say they don't. If you don't know, ask or leave it for them to do. I am sure there are many more, but I have to start somewhere so that my kids grow into adults respectful of other peoples' personal spaces.